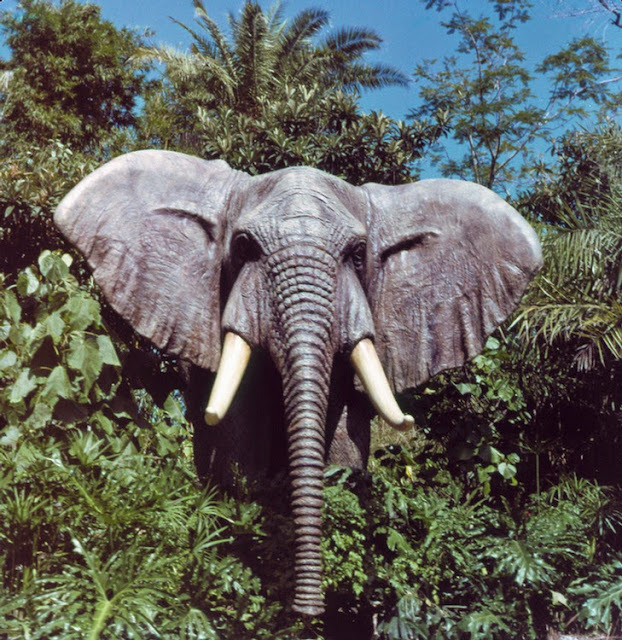 The original version of the Jungle Cruise track I created for version 1 of this project was, I felt, one of the more successful in the project, so the main goal in version 2 was simply to expand the material into a fuller version of the ride. The Jungle Cruise has operated at Magic Kingdom for over 40 years now and so is characteristic of the park. It is also an interesting example of ambient sound design, and so shares some similarities with the Rivers of America and Tom Sawyer Island areas, in that their main effect is not a musical one. 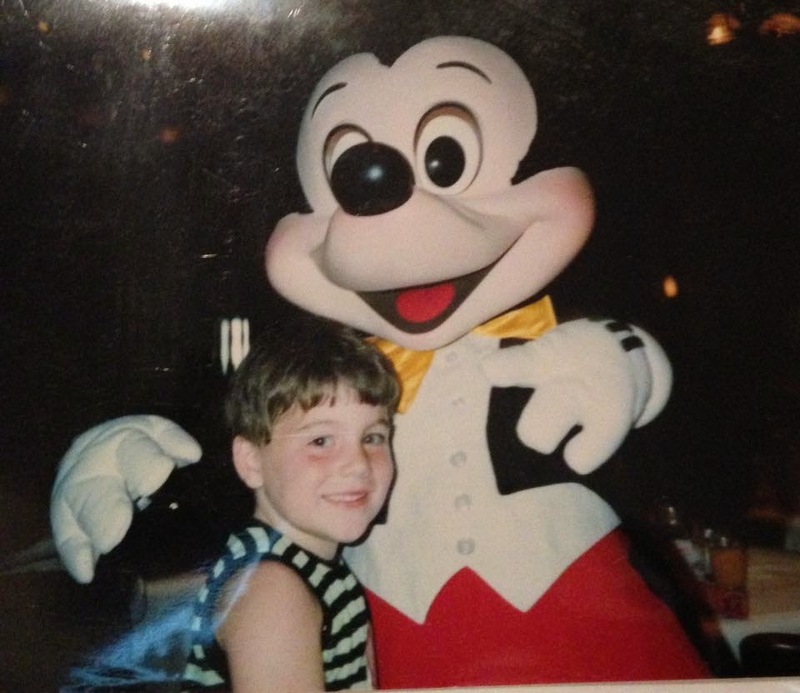 This track attempts to faithfully rebuild a WED-era soundscape. 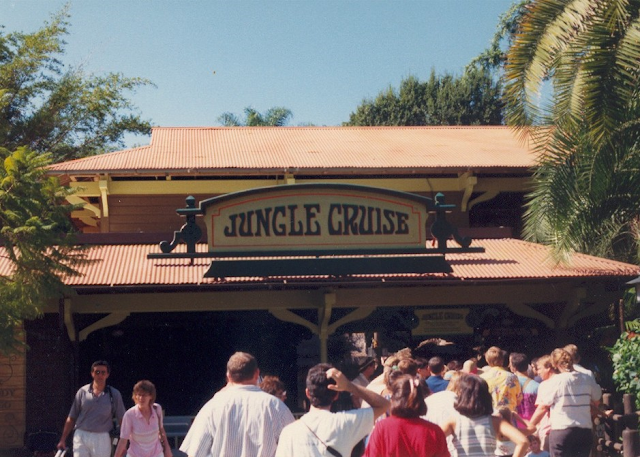 The Jungle Cruise had no queue music until 1991 – when the now familiar “Albert AWOL” music and set pieces were added. 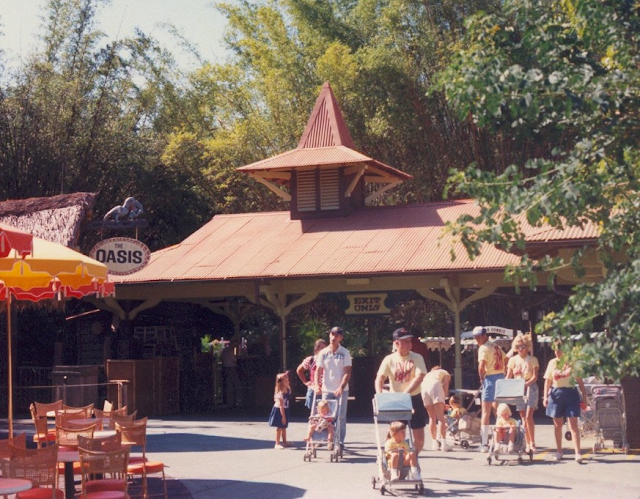 The “Drumming Tikis” presumably once added some liveliness to the area until they were relocated and the queue expanded in 1973. The Jungle Cruise ambient sound is deceptively designed to seem more complex than it really is. This track was built using an early sound effect flow chart as a reference, probably from 1971 or 1972. Each area has only one of three possible sound backdrops: crickets, or one of two ‘birds in trees’ tracks. 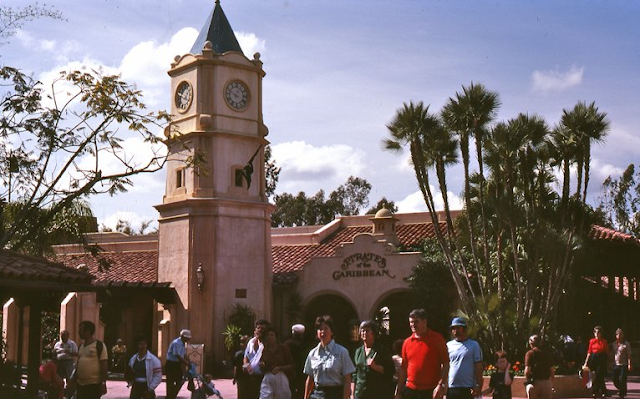 Each scene is then augmented by one of about ten stock bird call sounds, possibly taken from either a record of such tropical bird calls or perhaps performed for the attraction, which is not outside the realm of possibility as Perv Pullen (Horatio Q. Birdbath) had already worked for Disney in 1963 as part of the recording for the Enchanted Tiki Room. 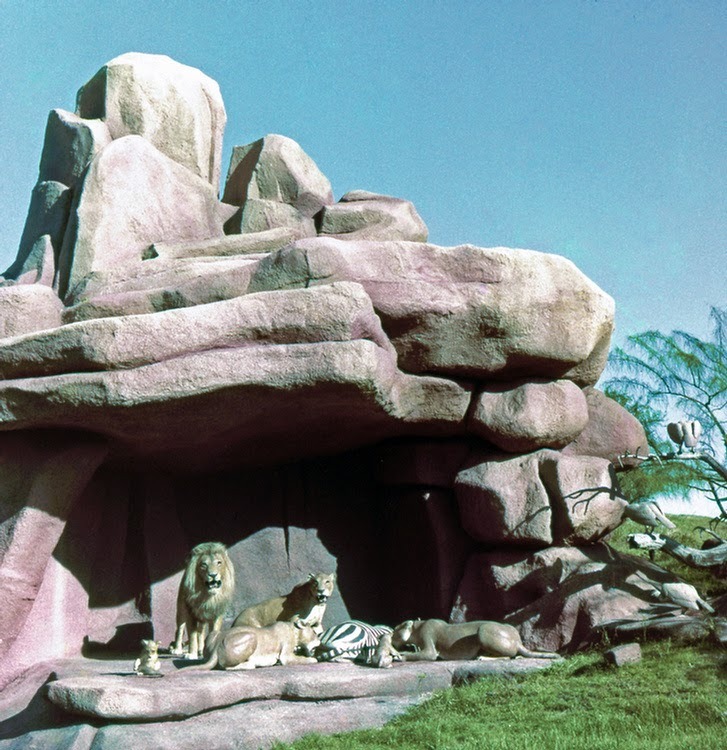 The 1971 recordings would later be imported back to Disneyland in 1976, and are often labeled as such. 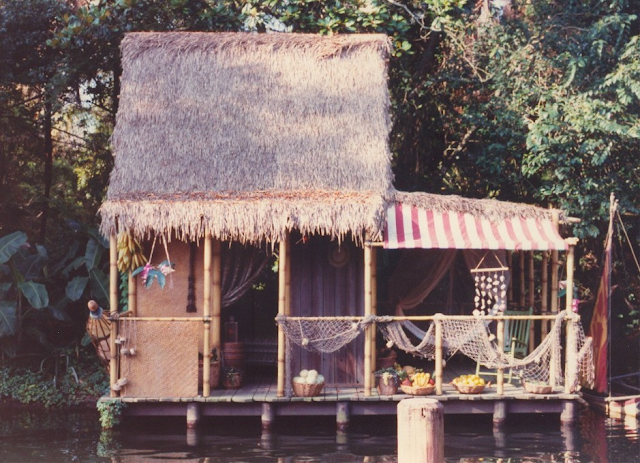 The Jungle Cruise is also blessed with two of the best pieces of background music ever for a Disney attraction – the mysterious “Amazon” music and the hauntingly spare “Cambodian Ruins”. The "Amazon" music is a live recording made by Mike Lee. 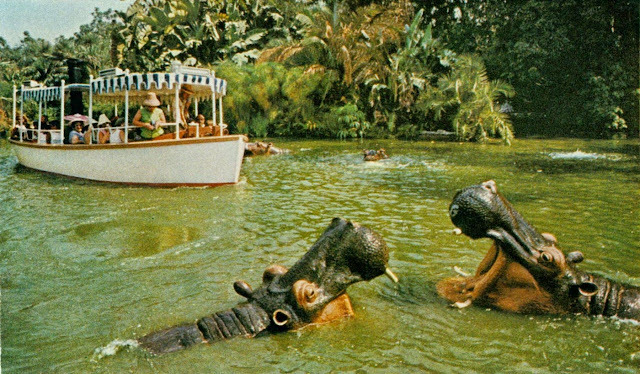 The Jungle Cruise is a spiel attraction and although I needed my track to reflect that, I did not want to be wedded to experiencing the attraction the way guests do when they are riding it. Boats pass by occasionally, but this track does not ride along. I wanted to represent the attraction without the omnipresent engine hum we are familiar with while riding. 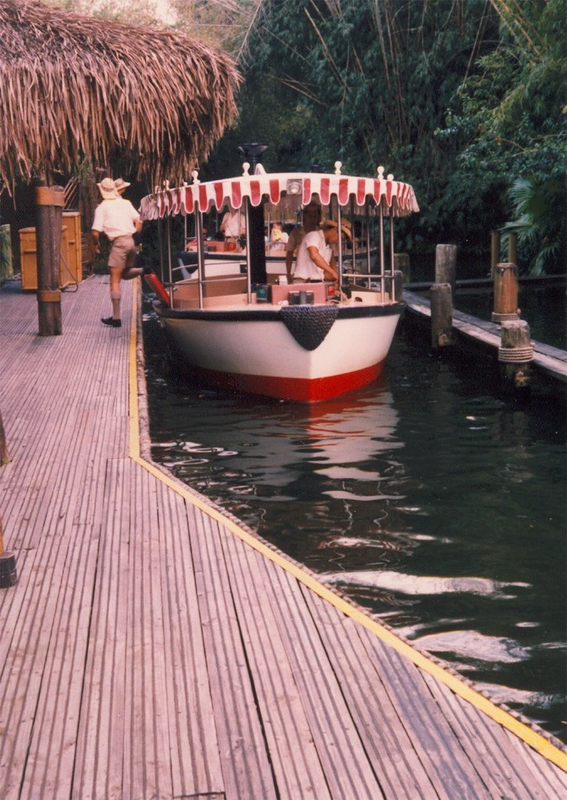 Ironically, despite my efforts to do without it, the sound of the engine proved impossible to capture live without background interference, so I was required to manufacture it for the occasional boat pass-by. 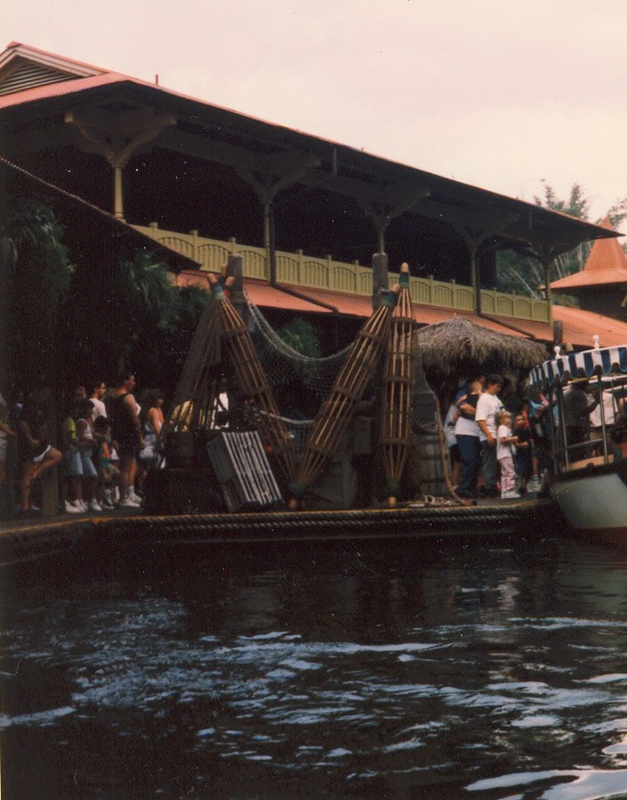 The sound of the boat heard in this track was mixed from a live recording of a natural gas two-cylinder marine engine, similar to the ones used in the attraction, with some engine hum from another model. 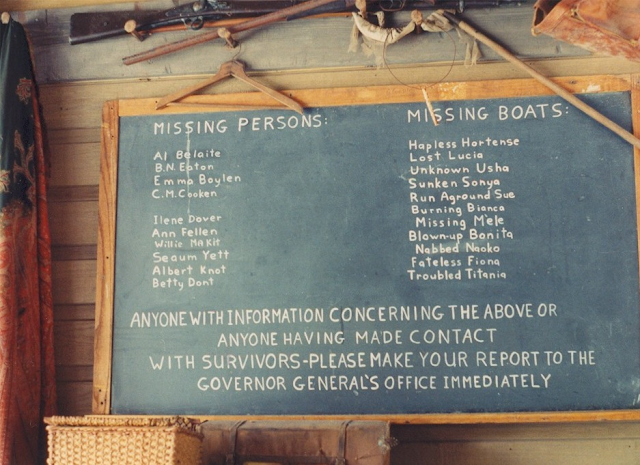 Project Graphic Designer Brice Croskey, who worked at the Disneyland Jungle Cruise, makes a cameo as one of the skippers heard in passing. The extension of the Jungle Cruise was accomplished with a variety of sound effects recorded late in 2013 with a microphone of a stick held out of the boat during an otherwise empty trip around the Jungle. This provided authentic Schweitzer Falls, hissing crocodile, and drum sound effects. 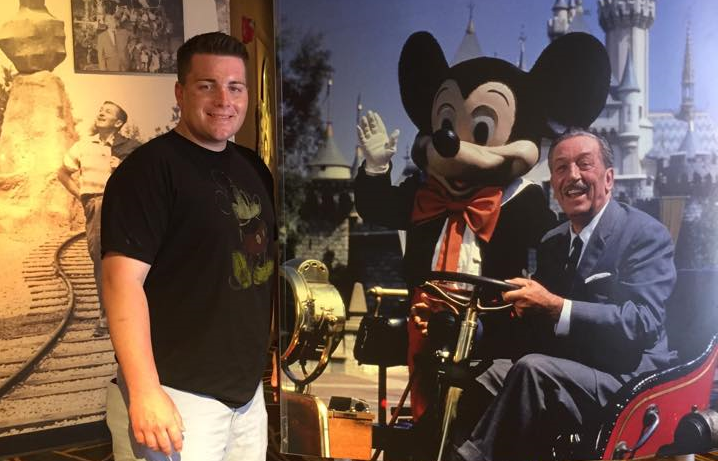 The gunshot sounds were recorded live at Disneyland in February 2013. The "Temple Music" was officially released on the Tokyo Disneyland 12-CD set "Happiness is Here" in 2013. Totally unannounced, the track was titled "Jungle Cruise Atmosphere", and happily provided yet another of my Magic Kingdom "holy grail" tracks. The track is processed with some mild echo. 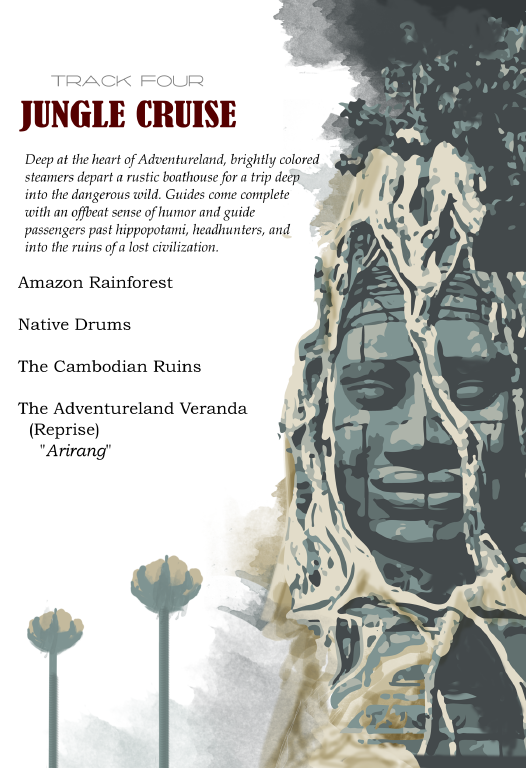 The track concludes with another musical piece taken from the 1973 Adventureland Veranda loop, the spare Cambodian Ruins music segueing nicely into the oriental flavor of the Wagner BGM. The song here is "Arirang", a wildly popular Korean folk song. The actual recording and source album has yet, sadly, to be identified. The use of this also allows me to bring back the strange tinkling chimes heard between the tracks and place a nice little circular grace note on the experience. 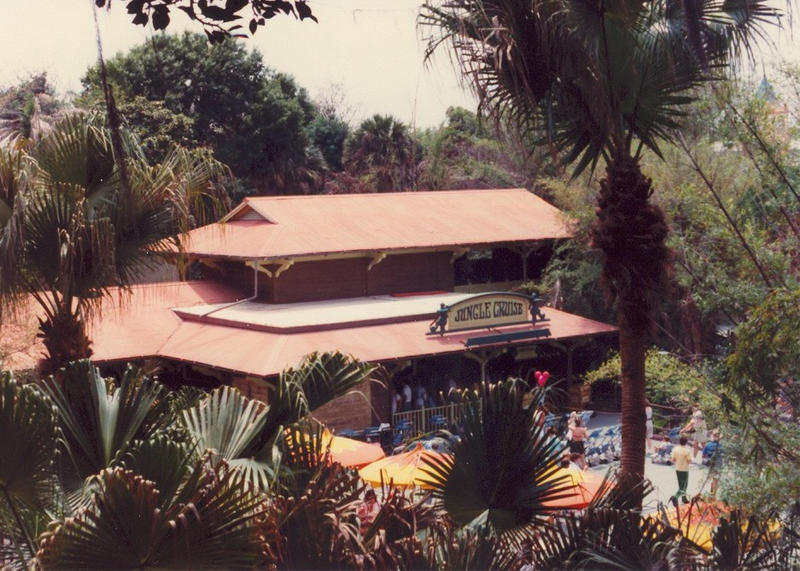 I can think of no better aural representation of Adventureland than those little chimes in the wind that played in the Veranda so long ago. We have so much more vintage Walt Disney World musical ground to cover. Let's meet back here tomorrow where we'll travel to Caribbean Plaza of the 1970s...and yes, there will be a pirate or two in these parts!